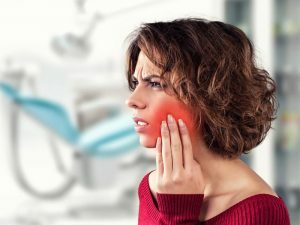 Your Guide to Dental Pain Management Options - Gernot H. Winkler, D.D.S. Many people avoid going to the dentist because they’re afraid. However, it shouldn’t–and doesn’t have to–be this way. It’s important to take care of your teeth and not avoid the dentist. Though there are times you may need a complicated procedure at the dentist’s office, there is no need for you to be in pain. A trip to the dentist doesn’t have to be frightening or unpleasant. Dental pain management is an important step in relieving the anxiety and fear you feel at the prospect of going to the dentist. Read on to learn a little more about your options when it comes to managing pain and remaining comfortable throughout your appointment. If you’re booked for a surgery, such as dental implants or even an extraction, you have options. Even though these procedures can be uncomfortable for some people, you don’t have to actually feel or experience that pain. For more minor procedures, a simple anesthetic may do the trick. Topical anesthetics are a pain-relief method that can be applied to the skin. Your dentist can apply this type of pain-killer onto your gums and mouth to soothe surface pain. A topical anesthetic solution can be used to numb the area where you’ll receive an injection of a local anesthetic. Local anesthetics, like Lidocaine or Novocain, numb the affected area. They don’t put you to sleep, but relieve the feeling of the injection and the work being done, greatly reducing your pain and fear overall. Painkillers are a more serious method for dental pain management. Mild cases of discomfort can be treated with over-the-counter medicines like Ibuprofen (Advil) or Tylenol. If a stronger medication is needed to lessen pain for a procedure, this is an option to be discussed with your dentist. Be careful with dosing and make sure to keep an open line of communication with your dentist, fully informing them about any existing medications you’re taking. Also, share your medical history to ensure that it’s safe for you to be prescribed powerful medications, such as Vicodin or Vicoprofen. Another popular option is complete sedation at the dentist. Sleeping through your appointment will get rid of a lot of the anxiety and fear you may experience in anticipation of your visit to the dentist. It’s also one of the most common dental pain management options. Being sedated is ideal for various procedures, such as crowns, fillings, root canals, and more. Options for sedation include oral sedatives, nitrous oxide (laughing gas), and IV sedation. You’ll either be completely unconscious or put into a deep state of relaxation with these sedation methods. Talk to your dentist about what’s right for you. Have Questions About Dental Pain Management? If you have questions or concerns about visiting the dentist, please don’t hesitate to contact us. We’ll do everything we can to ensure you have a positive experience in our office. We’re trained professionals that are here to help you feel comfortable with your visit to the dentist. We can answer your pain management questions and help you come up with a solution that is right for you. Gernot Winkler, DDS, is dedicated to serving clients with general and family, cosmetic, and restorative dentistry. Located in Fallbrook, Dr. Winkler sees patients throughout San Diego County including neighboring cities such as Fallbrook, Bonsall, Rainbow, and Temecula.